No-drip, no-spill Do-A-Dot Art Markers eliminate the need for messy paint cups, brushes, and water dishes. They're washable too! 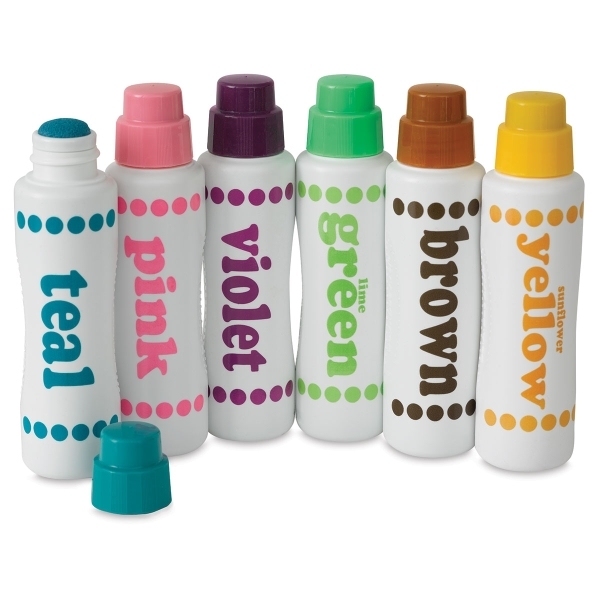 This set of six bold and brilliant colors includes Teal, Violet, Lime Green, Pink, Sunflower Yellow, and Brown. 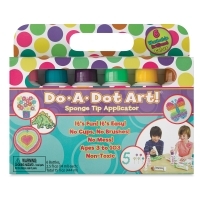 ™ Do-A-Dot Art is a trademark.